Ben Heppner is a Canadian tenor, and current host of Saturday Afternoon at the Opera on CBC Radio 2. 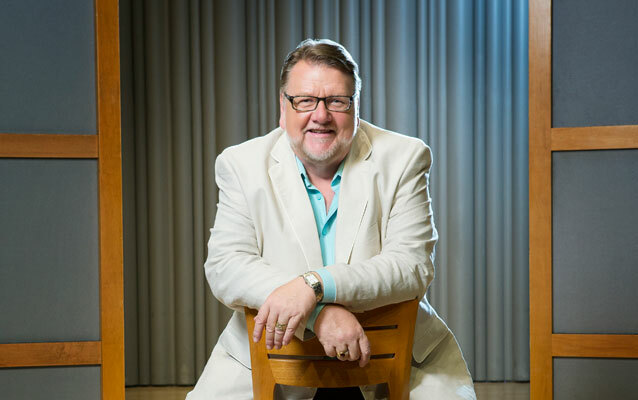 Ben Heppner is renowned worldwide for his portrayals in the dramatic tenor repertoire. His illustrious career has taken him to opera stages and concert halls around the world. He is acclaimed for the beauty of his voice, incisive musicianship, and his generosity with audiences. His performances on the opera stage, in concert with the world's leading orchestras, in the most prestigious recital venues, and in recordings have set new standards in his demanding repertoire. Mr. Heppner's repertoire includes the most challenging roles, from Wagner's Tristan and Lohengrin to Verdi's Otello and Berlioz's Aeneas. Many of his greatest portrayals have been revealed in new productions at The Metropolitan Opera, including the title roles in Robert Wilson's production of Lohengrin and Dieter Dorn's Tristan und Isolde, and as Florestan in Fidelio, Aeneas in Les Troyens, and Ghermann in The Queen of Spades. Further roles at The Met include the title role in Idomeneo for his debut, the title roles in Parsifal, Otello and Andrea Chenier, Laca in Jenufa, Walther von Stolzing in Die Meistersinger von Nürnberg, and the Prince in Rusalka. He has sung these and other roles at Covent Garden, Vienna State Opera, La Scala, Bavarian State Opera, Paris Opera, San Francisco Opera, and Lyric Opera of Chicago.